It looks like state officials have scrapped a $1 billion proposal to divert water from the Gila River in southwestern New Mexico – but they’re still looking to spend $80 million to $100 million to take water from the river for towns and farmers. 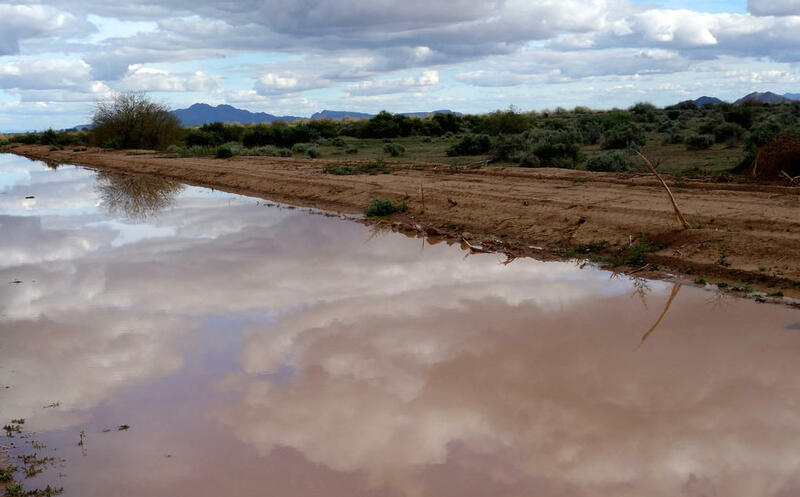 Independent journalist Laura Paskus has been covering the evolution of the Gila River diversion plan as part of her climate reporting project with New Mexico In Depth. She says even though most of the Gila River is in Arizona, it’s important to people here in New Mexico. Paskus spoke with KUNM’s Elaine Baumgartel. PASKUS: Environmentalists have pointed out that this is an important river ecologically. It also supports a number of endangered species including different fish and reptiles and birds. It also flows out of the nation’s first wilderness area. So, it’s a little river, but it’s kind of a big deal for New Mexico. KUNM: It’s been years in the making that we’ve gotten to this point, and these big diversion plans, spending $1 billion, what would a $1 billion diversion plan have looked like? PASKUS: So, the state of New Mexico had ten years to decide if they were going to build a diversion on the Gila or not, and take advantage of some water rights. And the Interstate Stream Commission came up with a number of proposals and plans a couple of years ago and one of them that really drew the attention of both environmentalists and fiscal conservatives was this really large project that would have diverted water from the Gila and stored it in an off-stream reservoir. It was in a pretty remote area near Turkey Creek and would have been a really big, extensive, expensive construction project. KUNM: And that is now off the table. This agency, it’s a new agency, it works in cooperation with the Interstate Stream Commission, it’s independent, there are stakeholders on this commission, what are the potential plans? PASKUS: So, some of the plans that they’re talking about, they have a pretty wide range of different ideas and options from diverting water out of the river and storing it in a new reservoir, or they’re talking about storing it in existing infrastructure like Bill Evans Reservoir which is owned by Freeport MacMoran, the big mining company down there, or storing it underground, which has its own set of complications just because, New Mexico, we’re not quite set up for that sort of thing right yet, but it’s definitely an important idea for people to be considering as the region warms. KUNM: So with this prospect of having water diverted from the river, what would it be diverted for? We’re talking towns and farmers, who would be potentially using this water? PASKUS: So, at this point in time, no water buyers have been identified by the state, at least the state hasn’t said they’ve identified any water buyers, it could be used by farmers in the Cliff-Gila Valley, although that would be really expensive water for growing alfalfa or some of the crops grown there. It could also go to cities like Deming or it could be used for industry. KUNM: What’s been the reaction to table a larger $1 billion plan? PASKUS: Some of the environmentalists who’ve been opposing this diversion for many years were relieved that this big giant one in a roadless area, in a remote area, was off the table, but I think a lot of questions still remain. That doesn’t mean that the project is gone or that there isn’t another diversion that could go on the river. KUNM: When are we going to know what the plan is? PASKUS: The state is supposed to have a plan to the Bureau of Reclamation in July. The New Mexico Interstate Stream Commission approved a controversial proposal Monday to divert water from the Gila River in southwestern New Mexico. The project will draw water from the river, store it in reservoirs, then pipe it over the Continental Divide, to the New Mexico town of Deming. It will take 20 years to build and cost hundreds of millions of dollars. Silver City resident Dutch Salmon said he’s disappointed by the commission’s vote but he’s still hopeful the project isn’t set in stone. Will The Gila River Stay Wild In New Mexico? Before the end of the year New Mexico officials will have to make a decision about water development in the state—they’ll decide what will happen to the Gila River. It’s a decision that’s been ten years in the making. But as details emerge, some lawmakers and scientists are worried about the future of New Mexico’s last free flowing river. We’re standing on the banks of the northern Rio Grande, about forty miles downstream of Colorado. We’re next to a small diversion which waters some pasture and a garden in the village of Pilar, N.M.